a Healthy South Indian Breakfast! 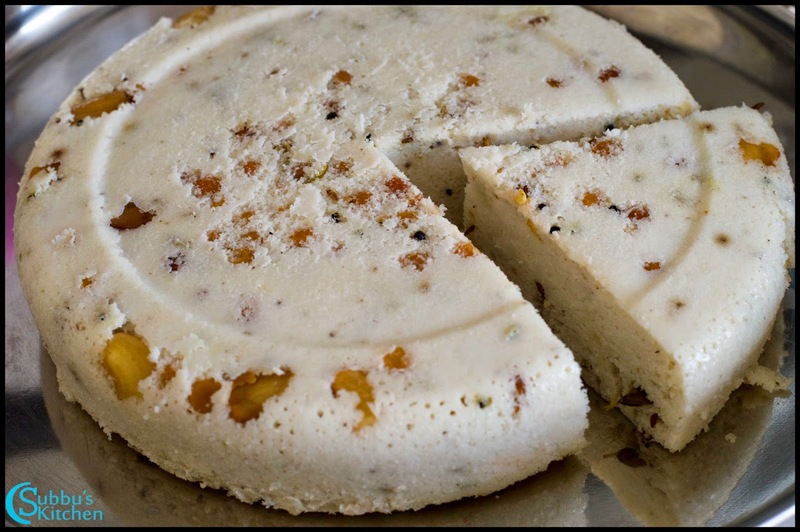 An Idli flavoured with Ginger Powder, Peppercorns, cumin and a tempting Tempering! As the name suggests, Kanchipuram Idli is a popular Idli from Kanchipuram, a small town in TamilNadu. 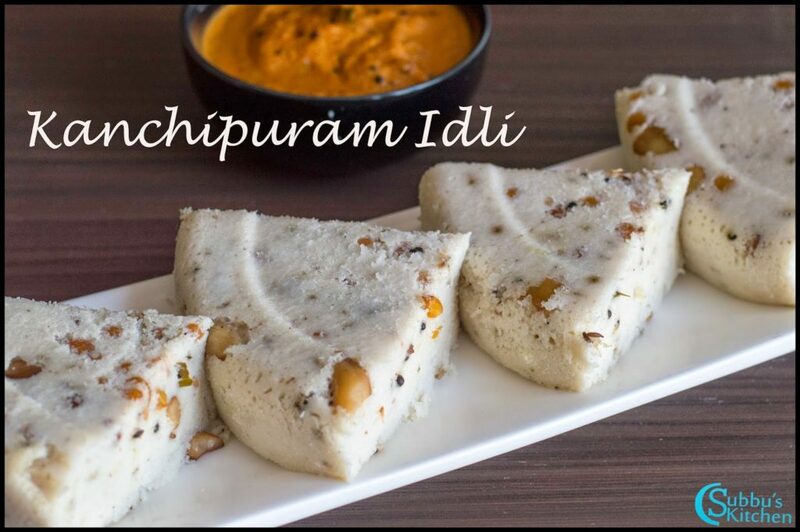 Kanchipuram is not only famous for Silk Sarees but also for this special Idli. 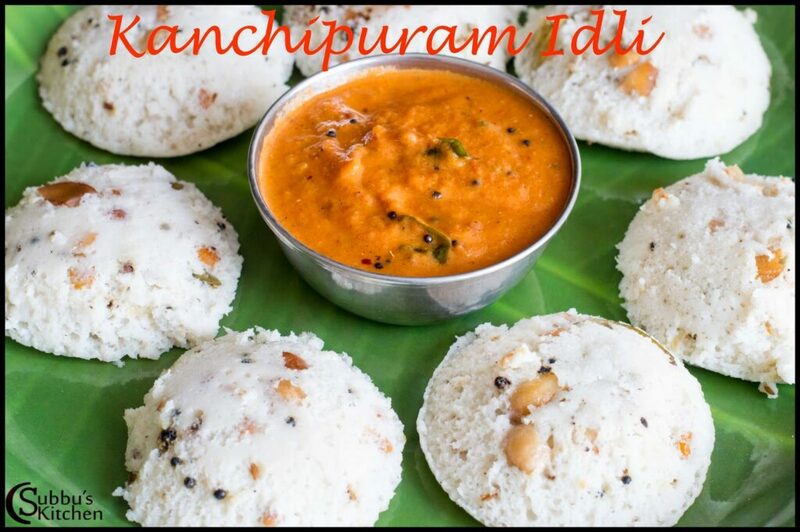 This special Idli is a offered as a Prasad in Varadaraja Swamy Temple, Kanchipuram. Idli is one of the healthiest breakfast. 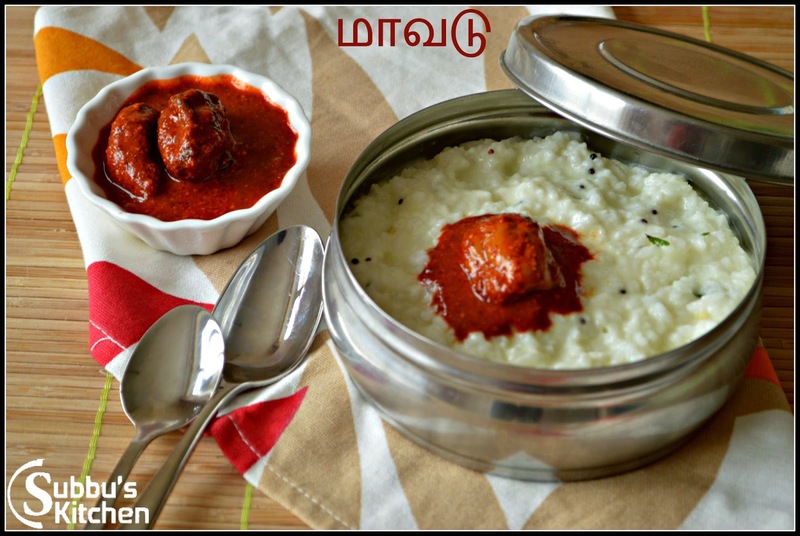 Even for the infants, toddlers and for the elders idli is one of the harmless dish. 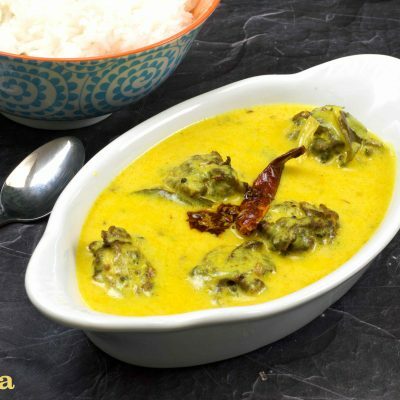 It is one of the travel friendly dish too. 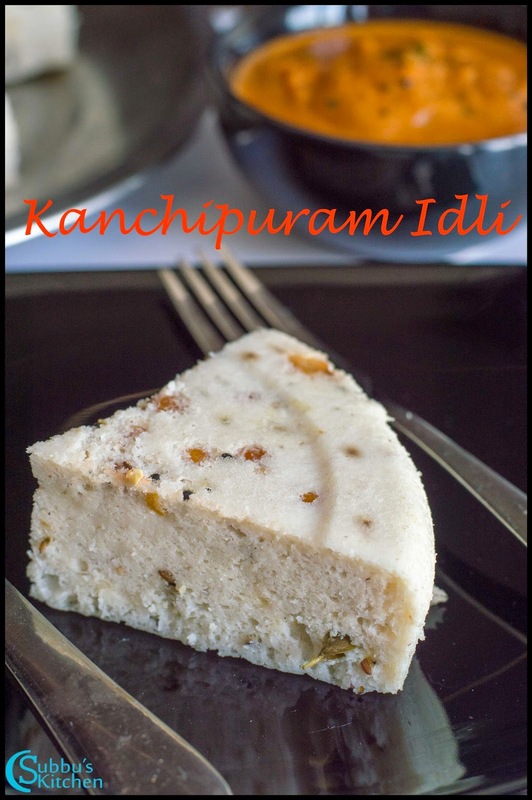 Instead of making regular idli, we can try this Kanchipuram Idli. The flavour of cumin-pepper along with ginger powder makes this idli really wonderful and my whole family love having this Kanchipuram Idli! Try this and delight your family too. 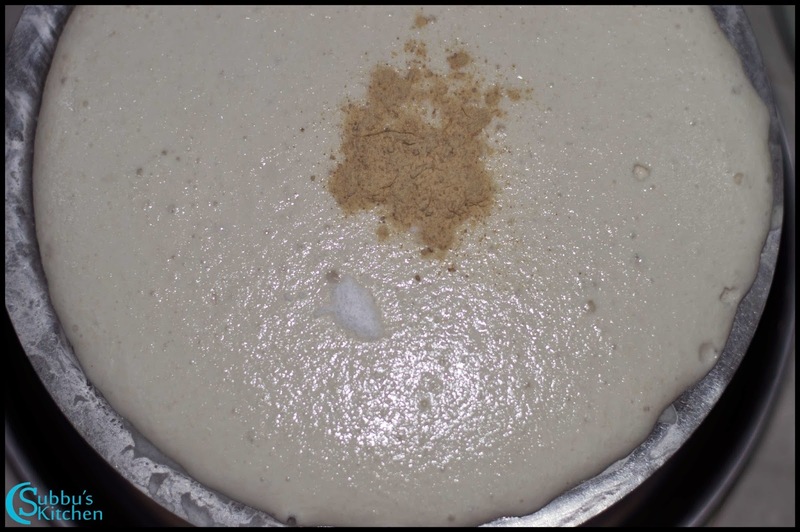 Along with the tempering, even the ratio of the rice to urad dal has a variation from the conventional Idli. 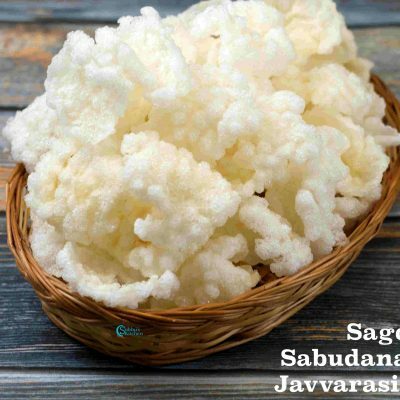 Normally for the Idli, the ratio of urad dal to rice is 1:4. Some of us make it as 1:3. i.e for 1 cup of urad dal we take 4 cups / 3 cups of parboiled rice. We can also add Aval / Poha (Flattened Rice), which will make the idli more softer. For conventional Idli, I always take 3 cups if parboiled rice, 1 cup of poha and 1 cup of Urad dal. But here in Kanchipuram Idli, the ratio of rice to urad dal is 2:1. 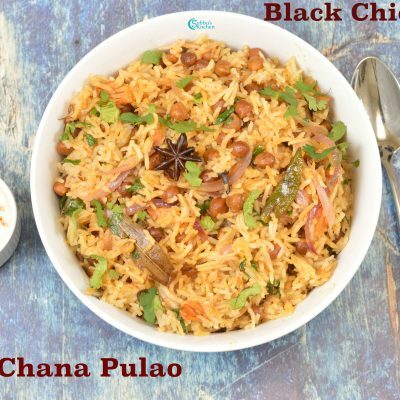 1 cup of raw rice + 1 cup of parboiled rice : 1 cup of urad dal, so we don’t need to add poha. The idli will be softer. 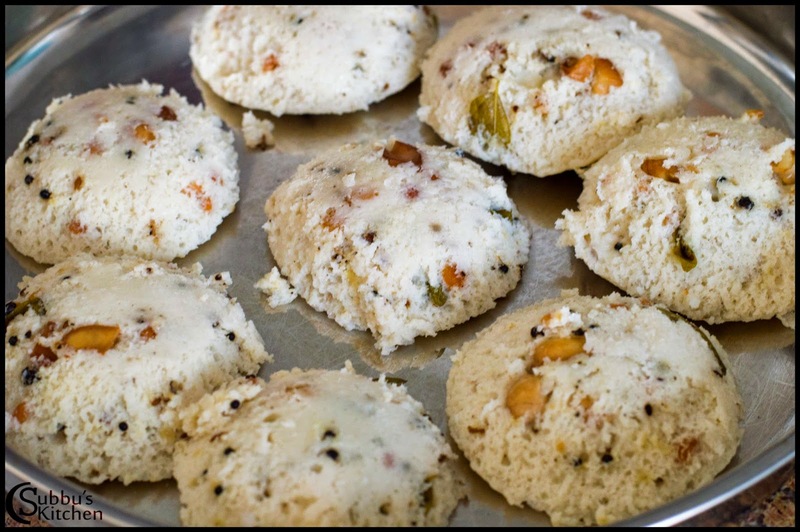 Also for Kanchipuram Idli there is another uniquess. 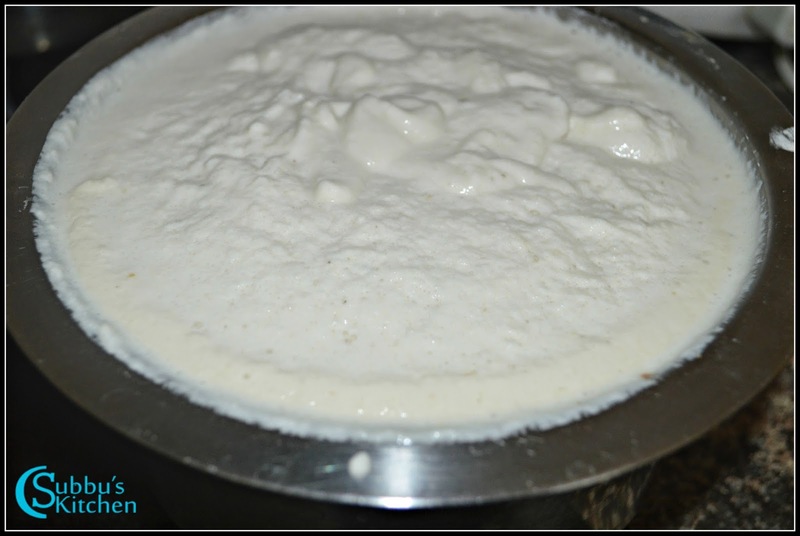 Instead of using the conventional Idli plates, we can use any flat bottomed pan like tumbler, bowl, cake tin etc. Its generally served like a cake piece. 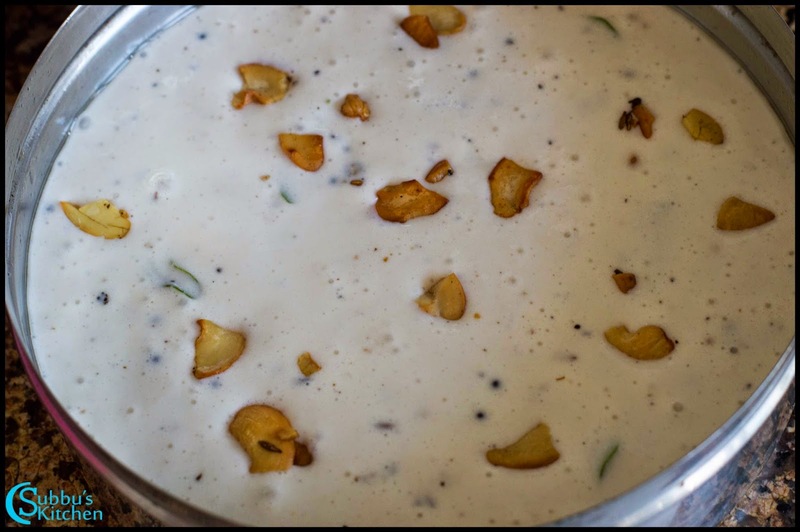 The best sidedish or accompaniment for Kanchipuram Idli is Kara Chutney. 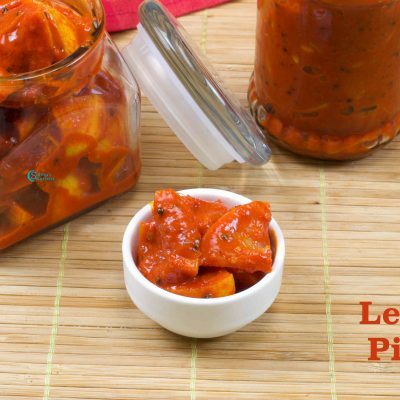 Kara Chutney is a piping hot spicy chutney made with Tomato, Onions and red chili. This is a best combo for a nice morning. 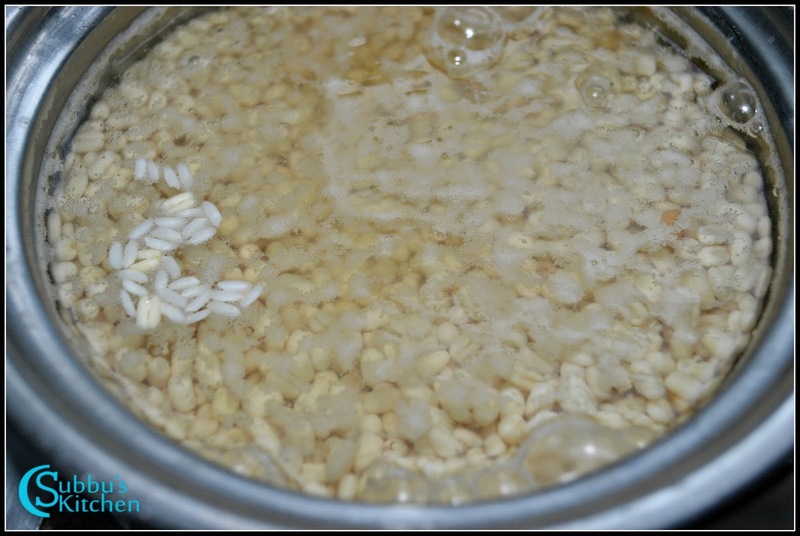 Soak the rice and urdal separately in water for atleast 2 hours. 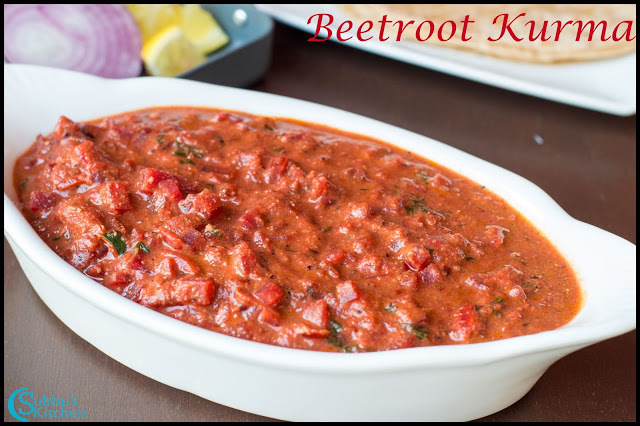 Add fenugreek seeds along with Urad Dal. 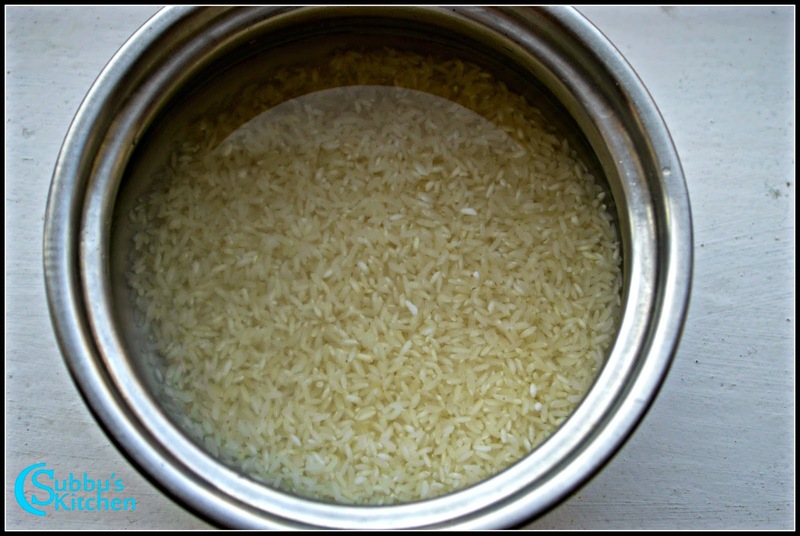 Rinse and drain the water and grind the rice and urdal in grinder to a thick batter. 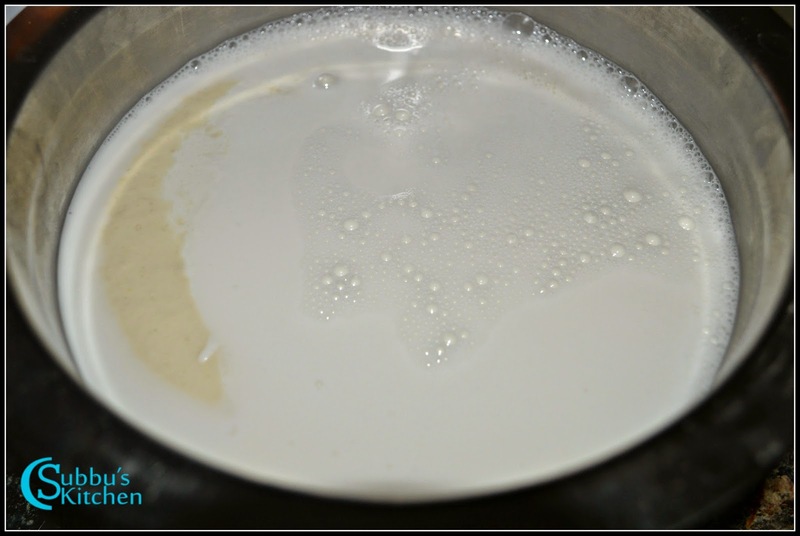 The batter should not be so smooth. To the batter, add ginger powder and mix well. 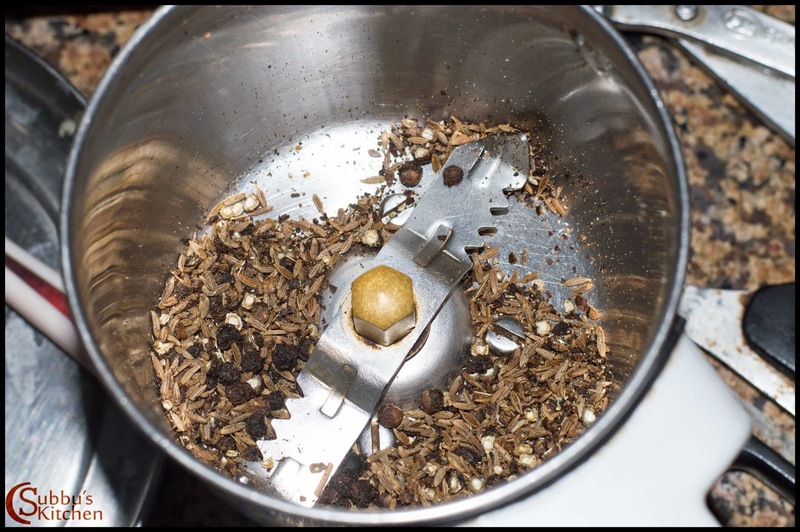 Grind the pepper and cumin seeds in a mixer and keep this aside. 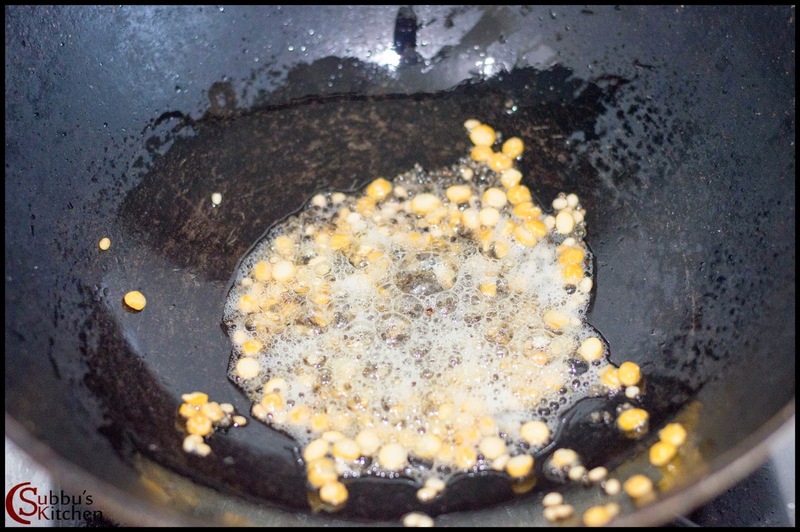 Pour gingelly oil in a pan and add mustard seeds. 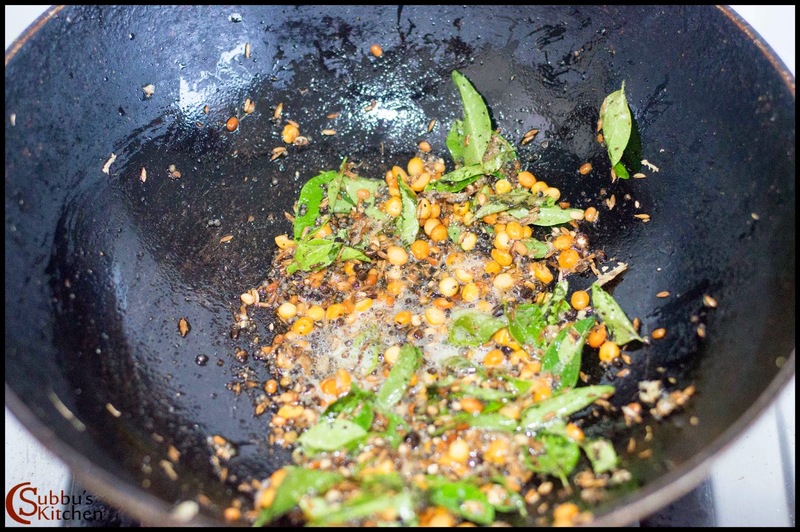 When the mustard seeds starts to sputter, add channa dal and fry till the dal turns golden brown color. Next, add curyleaves, cumin-pepper powder and fry for a 10 seconds. 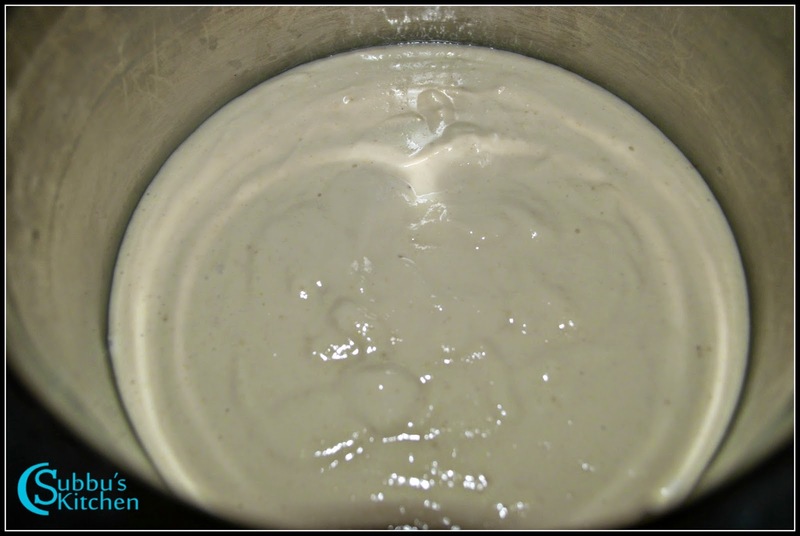 Add this mixture to the batter and stir the batter well. 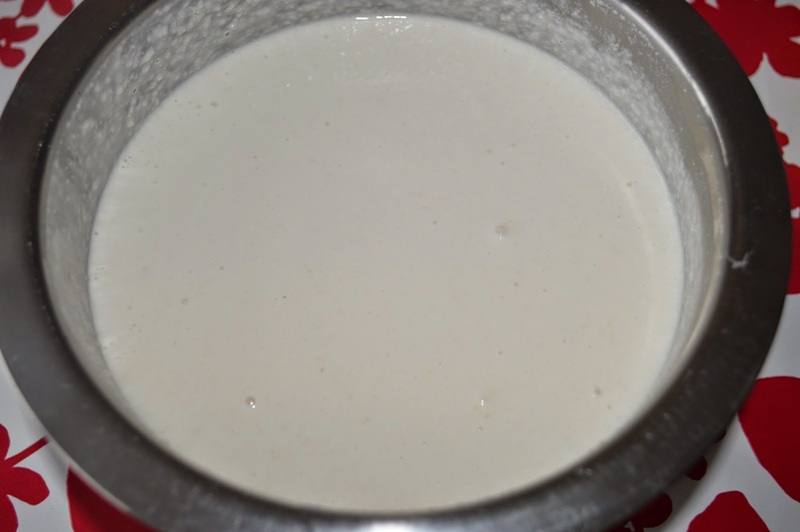 Now the kanchipuram idly batter is ready. 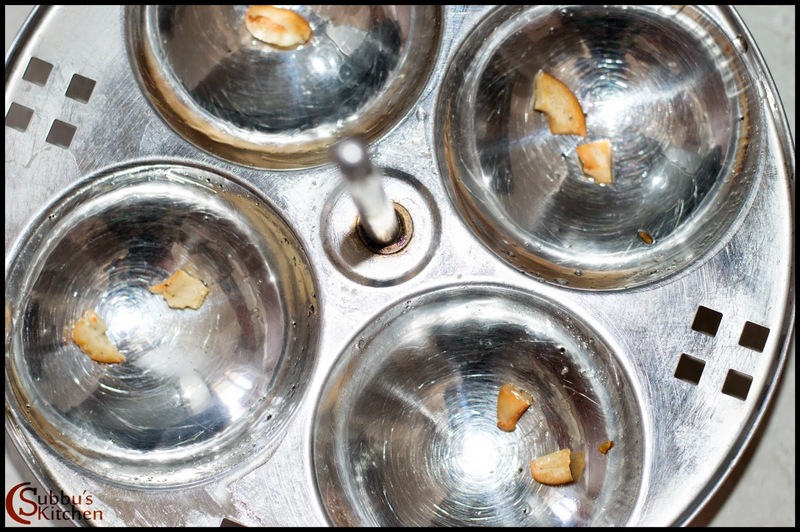 Grease the idli plates with oil. Place roasted cahsews in each mould. 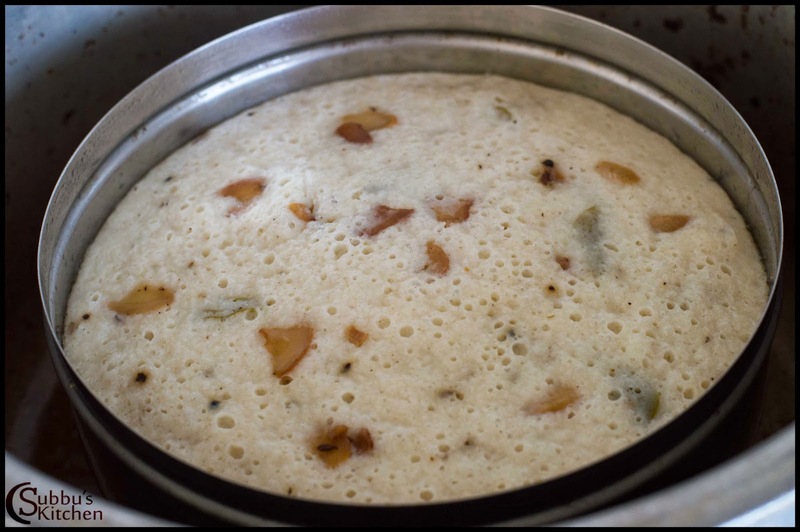 Pour the idly batter in the idly plates and steam cook it in pressure cooker for about 10 minutes. 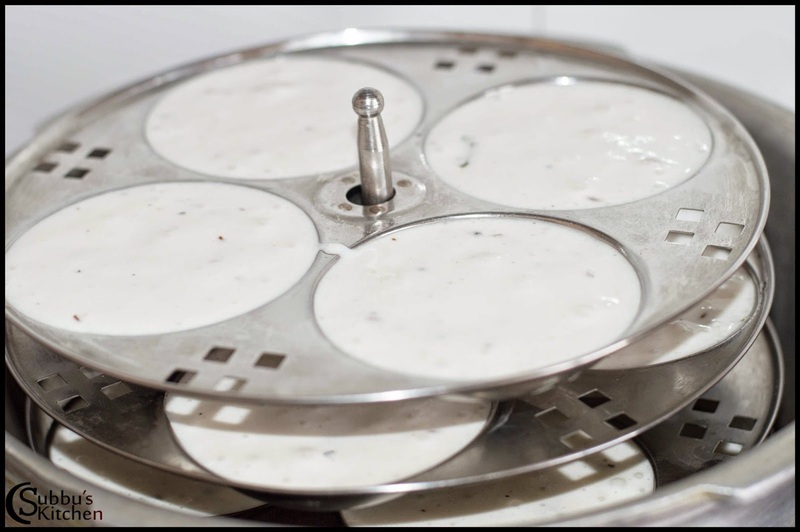 Allow the pressure to release and then take the idli plates and allow it to cool and then using a wet spoon, remove the idli from the mould and keep it in plate. 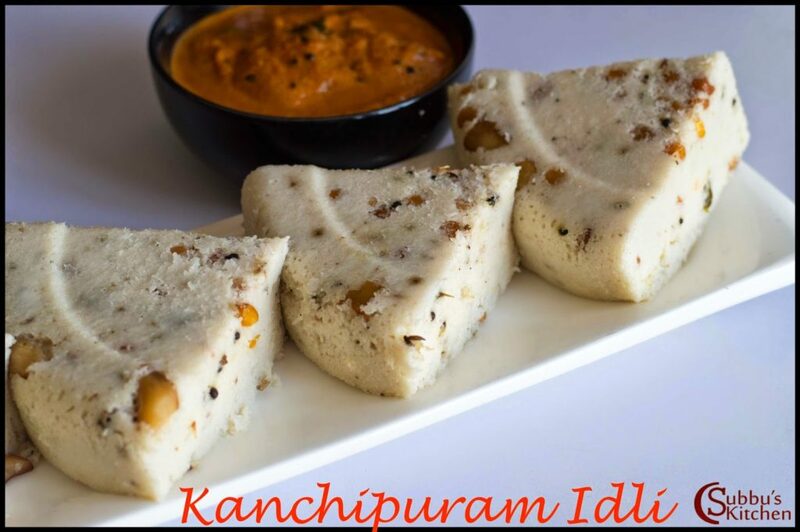 Delicious Kanchipuram Idli is now ready to serve. 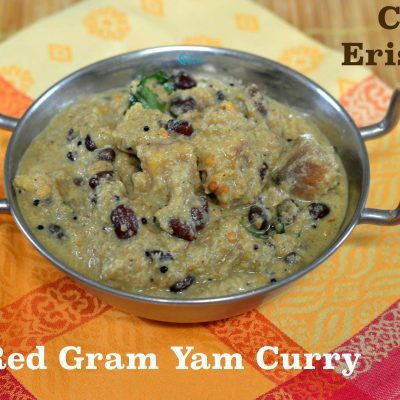 Serve with Hot Kara Chutney, milagai podi (gun powder) , chutneys and sambar. looks really soft & inviting- good recipe ! Love to have this anytime…. What's wrong with cashew… OMG???? Your recipes are very good. 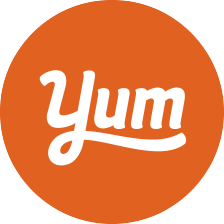 Please give some easy recipes for the snack box of school going kids. My kids (5 years, twins) don't like noodles. macroni etc..
Looks amazing. I had thought Kanjeevaram idli's had moong dal in them because the ones I ate in Chennai were pale greenish in colour. 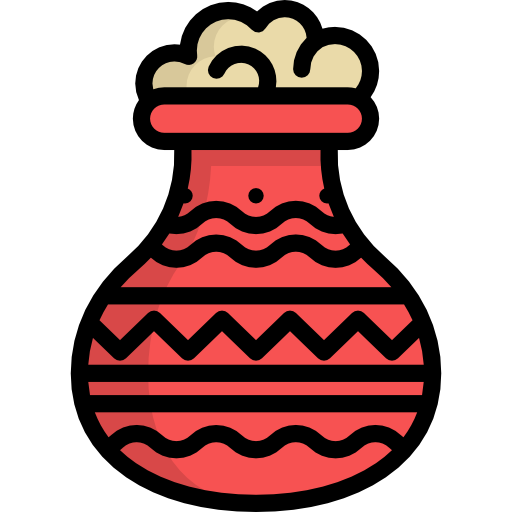 Interesting to see there's no moong involved. Thanks for a superb site. 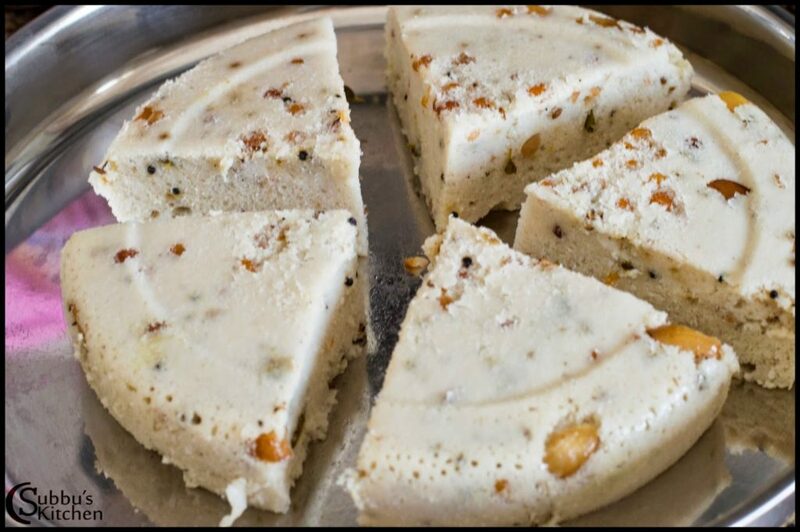 idli looks heavenly..never ate it always thought it was difficult to make it but im tempted to do it seeing this well explained recipe. Good. 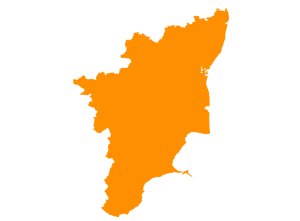 I have made this recipe with more oil and a pinch of soda. This sounds healthier and interesting. Pls can you tell me how much shld I add fenugreek seeds. 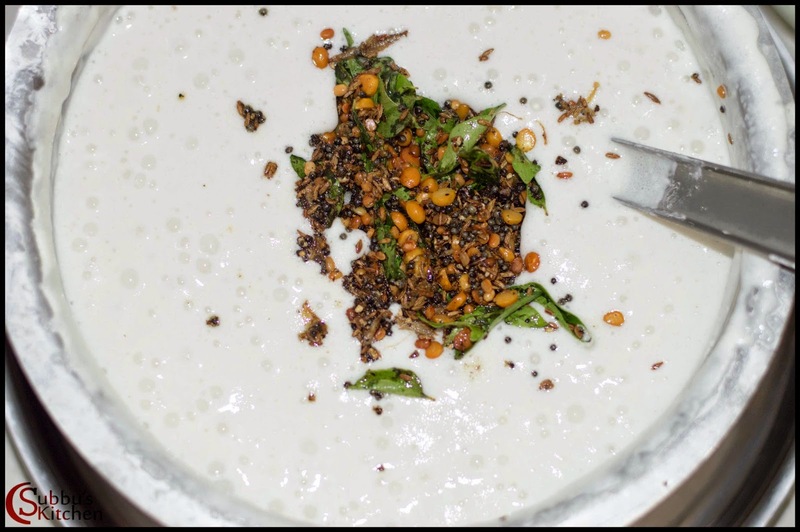 Can we grind rice and urad dal together in grinder or separately? 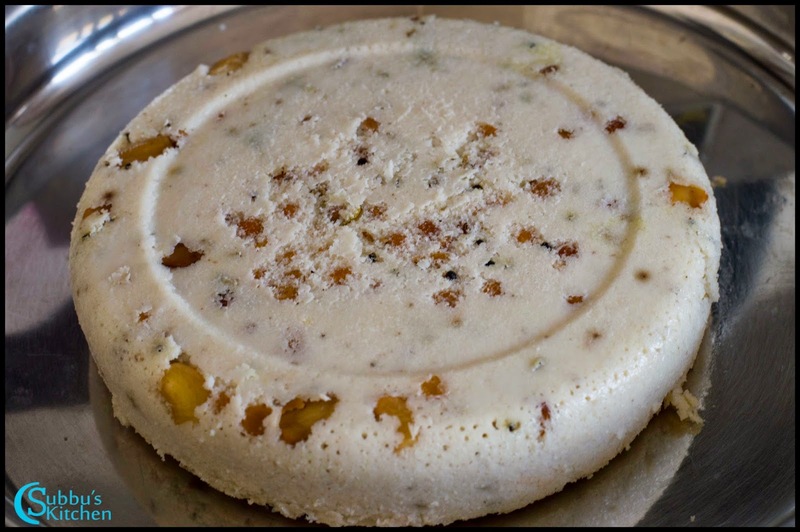 do you pressure cook the idli in the cake pan? or do you steam them in idli cooker?